My name is Wilfrid, I was born and raised in La Digue. I know every corner of this island and I appreciate every beauty, every detail, every secret. My dream is to share with you my experience, organizing the most of your special day. I am over 20 years that I deal with weddings. The largest marriage agencies benefit of my knowledge and collaboration like local wedding planner. 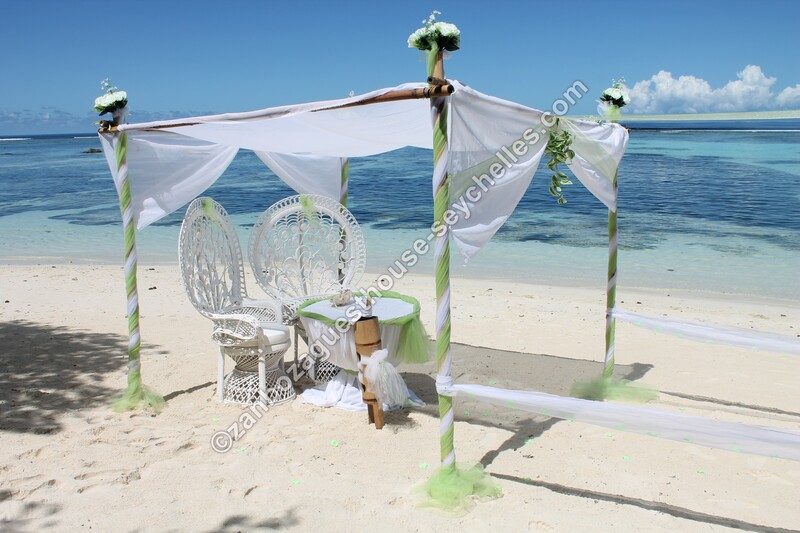 I specialize in arranging Beach Weddings, Renewal of Wedding, functions private or public, promise of love, Anniversary, civil and legal weddings, church weddings, christenings, parties on the beach and all types of events. I’ll follow you in every detail: bureaucracy, logistics, decorative, etc. .. My strength is the quality of service at competitive prices. 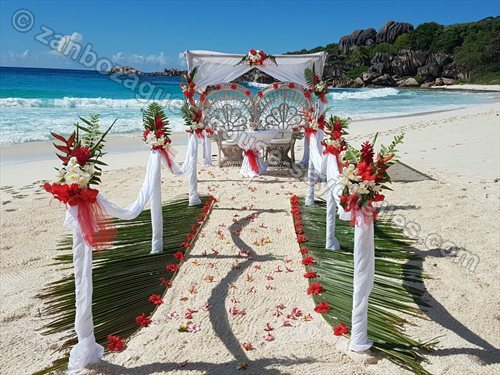 Marrying in Seychelles is a dream come true. 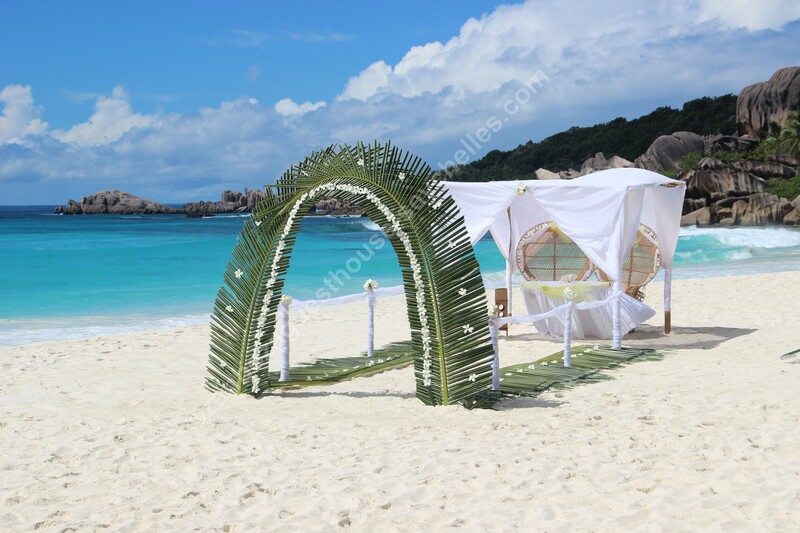 Spend your Honeymoon in the Seychelles or celebrate their wedding on an island paradise it’s possible….. These islands are the perfect destination for fabulous honeymoon a memorable one. The beaches of Seychelles are unique and offer the right environment where frame the most beautiful memory. 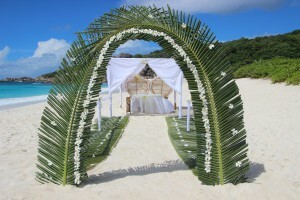 Do you dream a wedding outside of the convention, exclusive, romantic, intimate, away from home? Do you look for a dream location to live a moment that will last forever in your memories? 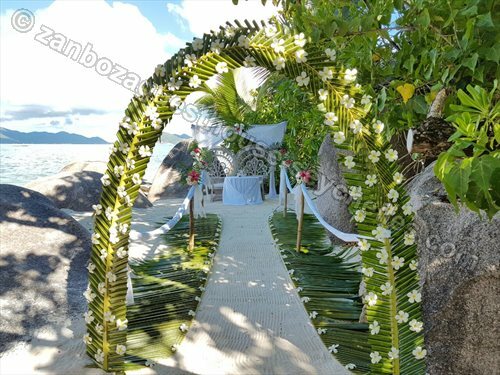 Or maybe you are looking for a unique place to renew the promise already made and celebrate your anniversary … If you need …… a dream wedding in Seychelles will realize all of your expectations. This remote archipelago in the Indian Ocean offers lush island full of fabulous white beaches, lapped by crystal clear sea, framed by towering trees takamaka, lush coconut palms, banana trees and colorful Hibiscus. 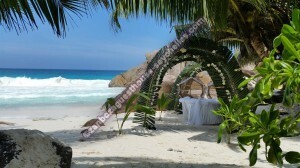 For all those who want a wedding in “paradise”, the Seychelles are half most coveted, the most exclusive but possible. 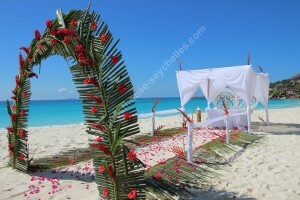 The procedure for a wedding on the beach is similar to a traditional wedding. The day set by you will pronounce your “Yes” in front of two witnesses and a civil officer. What actually changes is the context and you will be right to choose it. 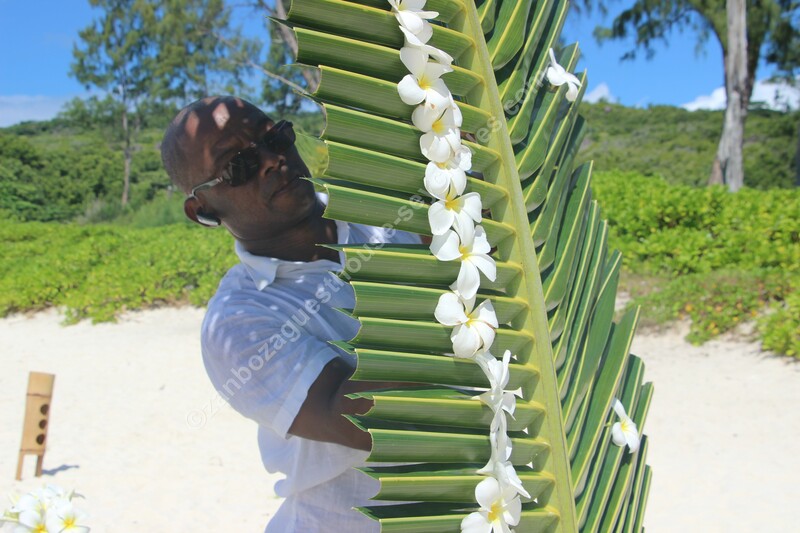 You decide the beach or the tropical garden that you like, you choose the decoration of palm trees with the typical flower symbol of the Seychelles “frangipani” unmistakable scent. You can enrich the decoration with flowers and colorful tropical, you can define the colors of the fabrics to make unique your decoration. There are so many details that you can add to customize your dream. 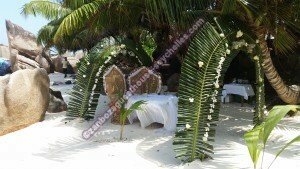 Your wedding day will be followed, supported and pampered step by step. 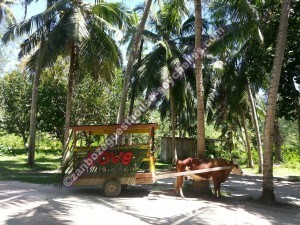 From your hotel you will bring to the location on foot, by taxi or with the traditional cart pulled by an ox. The marriage will be celebrated in front of two witnesses that we will give you. You can choose to be accompanied by music played by a local creole band, or to use a professional photographer or a hairdresser. You can decide whether to cut a cake colorful and with special shapes, opt for your favorite drink: sparkling wine, champagne or coconut drink. 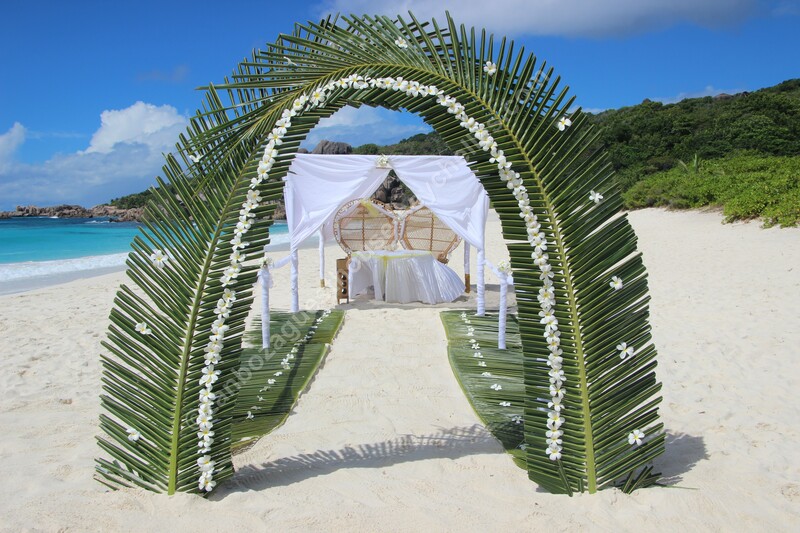 You can decide to get married in the morning or at sunset, you can request a dinner by candlelight on the beach or a barbecue for your guests. 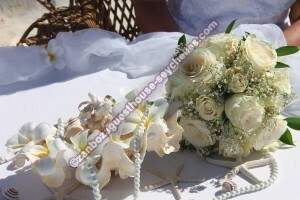 We will help you plan, organize and carry out your wishes according to your needs. – Marriage in the Catholic church. 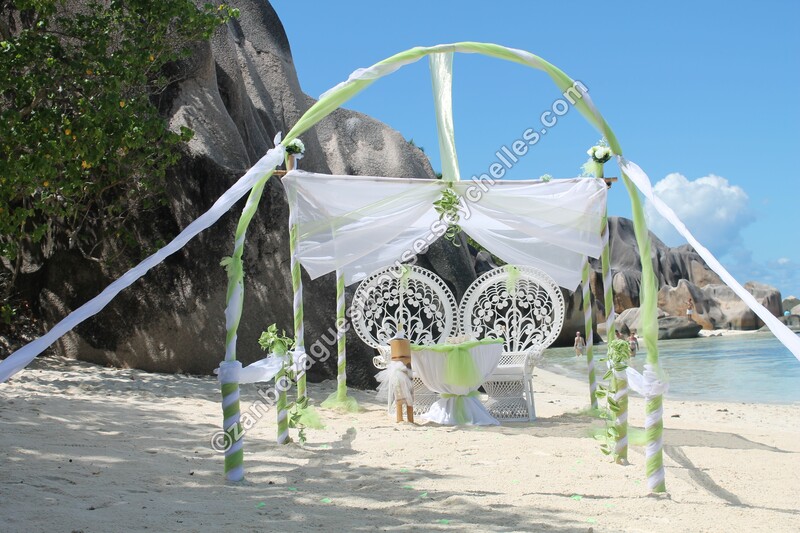 How much to get married in the Seychelles ……….. The island of Praslin is the second largest island in the Seychelles and is 6 km from La Digue, about 15 minutes by ferry. The main goal of Praslin is the “Vallee de Mai” became a UNESCO World Heritage Site as the only place in the world where it grows the Palma del Coco de Mer. – Anse Lazio: the most photographed beach, is located north-west of Praslin. – Anse Volbert better known as the “Cote d’Or” about 3 km long. 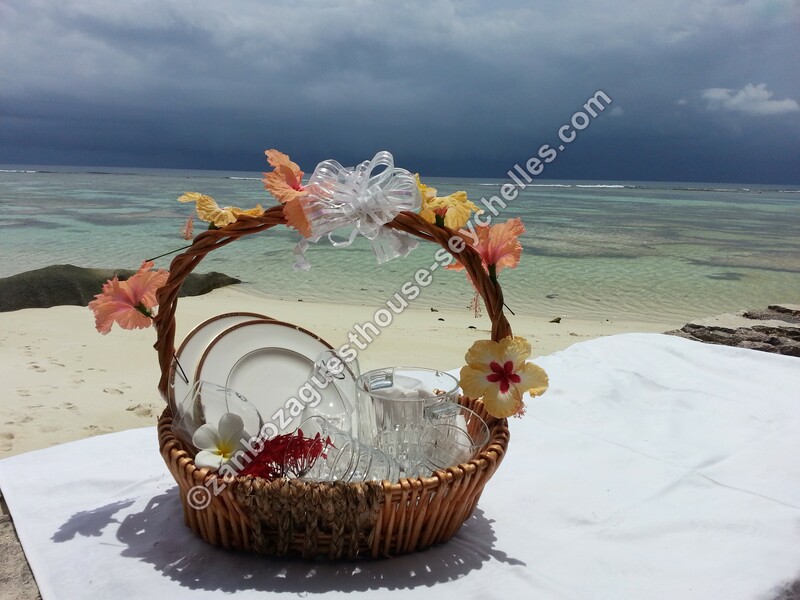 – Anse Georgette, paradise incorporated in an exclusive resort. – Grand Anse, in the south of the island is an immense beach of fine white sand. 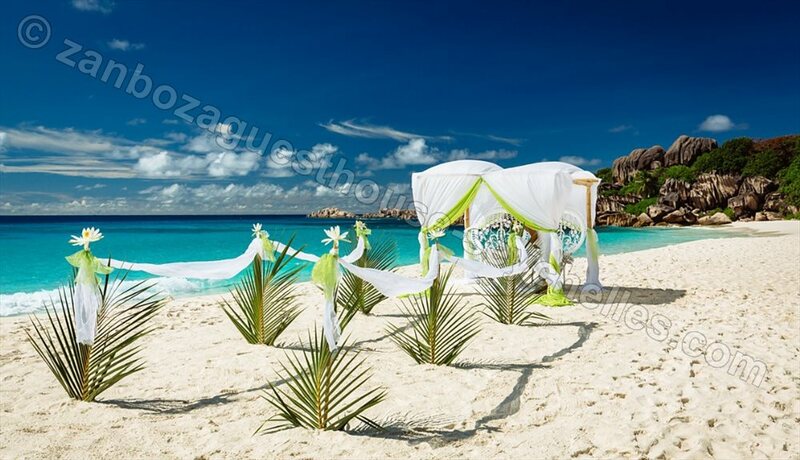 – A wedding in the Seychelles is a dream come true as it is an exotic half not too far away. – To get married in the Seychelles takes a few simple documents. 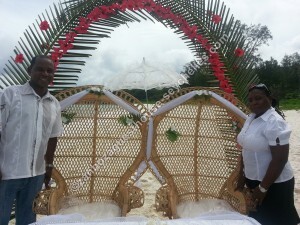 – In La Digue, you can count on ‘experience of Wilfrid offering a professional wedding planner. 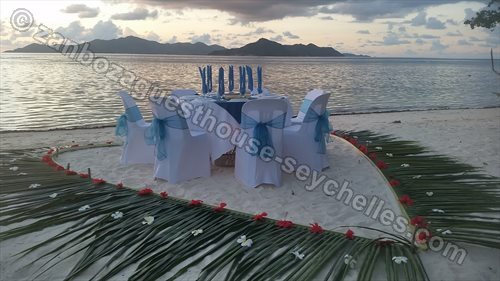 – A wedding in Seychelles, thanks to the expertise of Wilfrid, it means having the best prices without additional agencies. 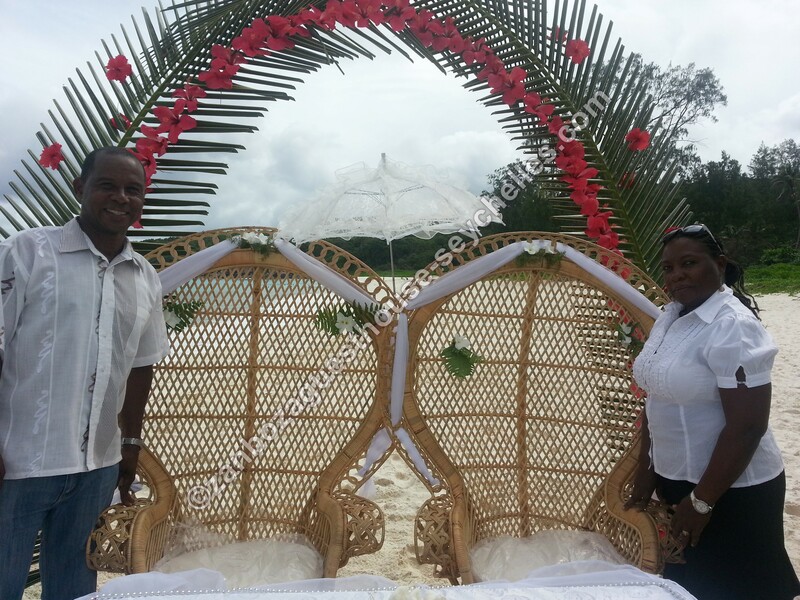 – The major companies benefit from years of collaboration and advice of your wedding planner Wilfrid in La Digue. – Your wedding planner of confidence was born, grew up and lives on the island of your dreams and he knows every secret, every corner, every beach. He will give you good advise you. – You will get a highly professional service at a competitive price because there will be no intermediaries between you and the organizer of the event. – You do not need to stay at Zanboza Guesthouse to have the assistance of Wilfrid. 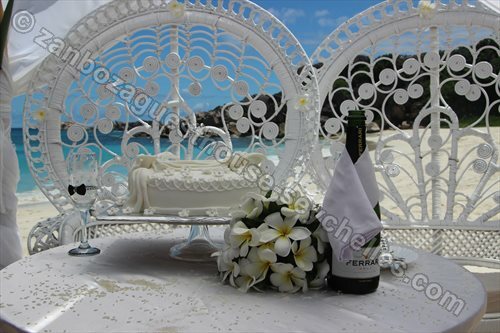 In any hotel that you will spend your honeymoon will be able to organize, plan and assist you in every detail. 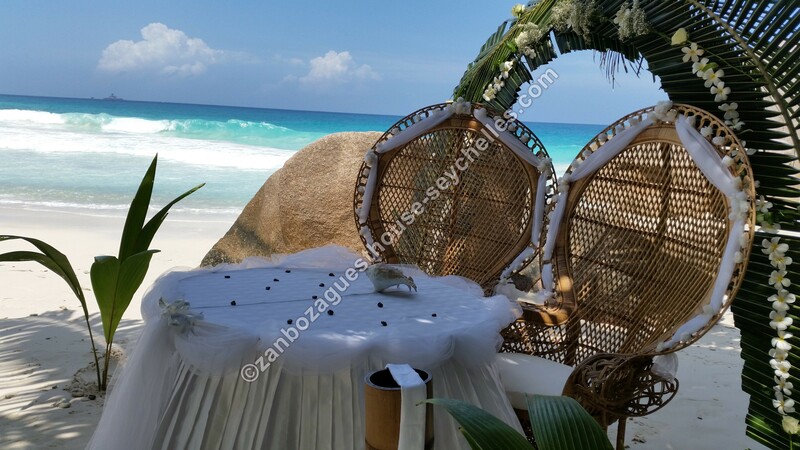 Copyright © 2019 www.zanbozaguesthouse-seychelles.com. All Rights Reserved.